Let's just say I have never experimented so freely before for Halloween and this year I wanted to go all out. With tutorials coming out nearly everyday in my subscription box, I knew what next video I wanted to record. 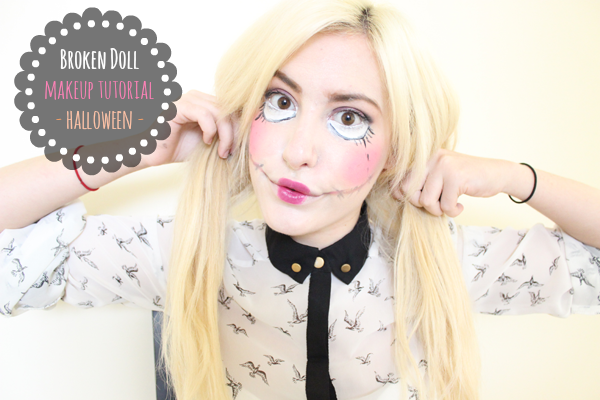 I wanted something girly and cute but still looking weird for Halloween so I came up with Broken Doll. I have listed all the products used in the description bar in the youtube video and I really hope you all enjoy watching this tutorial. It was my first voice over too which was exciting for me as I found it much easier to express my thoughts that way. 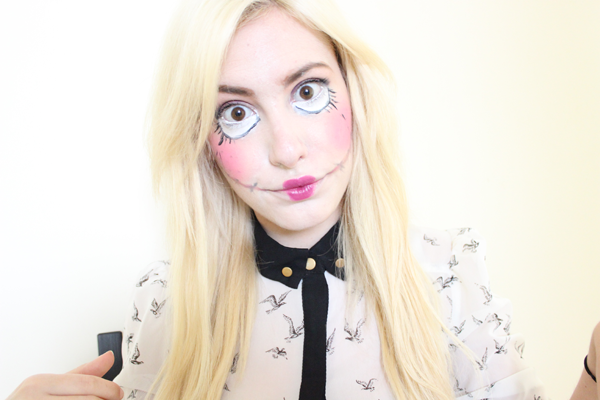 The point of Halloween is to be horrible, ugly and weird and I think I do look so weird! Let's just say I enjoyed going out of line and not being perfect with any lines what so ever in this tutorial because obviously the main thing is to be as scruffy and as messy as you can get! Subscribe to my Channel if you haven't already! If there are any particular videos you would like me to have on my channel please do leave a comment and let me know, even if it's a particular Halloween Tutorial or any other Makeup Tutorial that you would like to see. WHAT ARE YOU DRESSING UP AS FOR HALLOWEEN? ANY CURRENT FAVORITES ON YOUR WISHLIST? SHARE AND LET ME KNOW IN THE COMMENTS BELOW! That is such a cute creative idea, adore it! Really nice video I would say and well illustrated as well. I really liked this cute idea and I admire the creativity that you have possessed here.